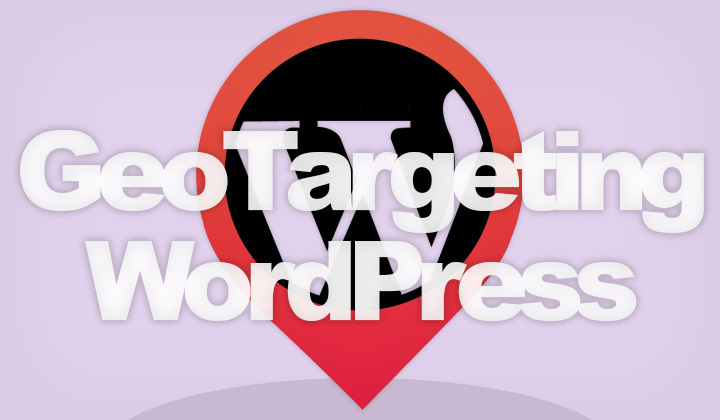 After going through all the possible plugins for geo targeting WordPress, I have no doubt that Geotargeting WP is the most complete & convenient system for localizing content, affiliate links, etc. by country, for WordPress available, in 2019. Read on to find out how content can be geo targeted on WordPress. In my case, I’ve used it to maximise affiliate profits for an international group of visitors for my websites or blogs. Localizing those links is vitally important. The idea is to show different content, in this case links, depending on the country the person is located in. So that the visitor is redirected to the country with the nearest affiliate program to purchase a product or service. This method is especially popular with Amazon Associates, iTunes Store Affiliate Program and eBay Partner Network, etc. because they have these programs in different countries. And of course, this works for all other kinds of content too. Unfortunately this guide is outdated, as the GeoTargeting Pro has changed it’s name to GeoTargeting WP, which is an improved, more accurate system. Click here to find out more about GeoTargeting WP. You’ll find plenty of instructions on their site! I will show you step-by-step, how I optimize my affiliate link potential with the power of GeoTargeting Pro. Using an actual blog post of mine as an example, that is monetized with Amazon Associates. First order of business is to find out from which countries your website receives most of it’s visitor. You can either use the web analytics data of the whole website, or even better the exact page that you are going to monetize. Below I have a screenshot from Piwik Analytics, of the top five countries that have visited my target page during the last 6 months. To maximise profitability, I have chosen to mainly target visitors from these countries: United States, United Kingdom, Germany, Canada & Australia. And because Australia doesn’t have it’s own Amazon store, I decided to link to an Australian eBay seller for the product. Next I gathered all the different affiliate links ready for use. Then just edited the blog post and started adding the links with the new “Country GeoTarget Content” icon in the editor. A window is prompted, where you can choose to display content, either in a specific list of countries or in all the countries that are not selected. Also you have a very useful option of creating your own “regions” in the plugin settings. Which is a custom selected group of countries, or cities that you can use in any of your posts. The end result may look something like this, where Germany, Australia & Canada have their own affiliate links, all other European countries going to Amazon UK. All other links, as well as unknown countries are being forwarded to the Amazon US store. Once you get the hang of it, the process of setting up the links is very fast and convenient. All the other plugins I tried, either didn’t work or were just very clumsy and time consuming to work with. Just remember, that you can always improve in tuning your affiliate profits. The best thing with GeoTargeting Pro is that the possibilities are pretty much endless. And that was the best geo targeting plugin for WordPress in [yearnumber1]. Questions about geo targeting, or localizing WordPress content? Limited time offer for Elftronix readers only! The first five orders of Geotargeting Pro plugin, receive a 25% discount. Hurry up, and enter the code: ELFTRONIX25OFF on your purchase. Some of the links that you might click on these posts can be so called affiliate links, which carry potential for monetary benefit towards the leisure activities that promote the well being of the blog. Megalomaniac thank you! David. I very much like this plugin, but aren’t there any free options? All the free ones that I’ve come across are a waste of time compared to GeoTargeting Pro. But if you have time to play around and can do with limited functionality, you might get away with a free geo-localization plugin. This is great to Geotarget content not just affiliate links. Thanks! Great to hear you found it useful. Indeed there are endless purposes to change website content based on country, city, etc. Thanks! Is there anyway to do this through the Amazon affiliate interface? I want to create the links for youtube descriptions, they will not appear on wordpress. All Amazon Associate programs are separate, so the only way is to use geolocation. But GeoTargeting Pro is not suitable for your purpose; you need to geolocate a URL redirect. The most popular service for creating these kinds of redirecting links based on user location is Geolify. Thanks for asking!